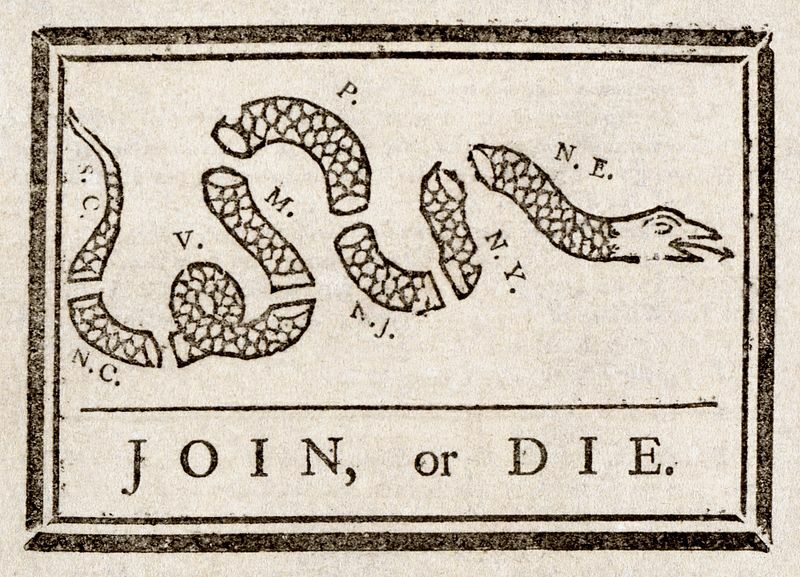 Benjamin Franklin used this cartoon to demostrate the need for Americans to join together against British tyranny. Although the British represented the world's greatest power, "Poor Richard" was confident we could win if we just stuck together in the fight. 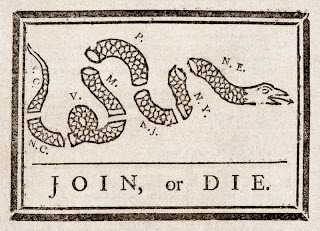 As America today moves away from the system of a Balance of Power established by our fore fathers, to a government of appointed czars, by passing Congress, to take us to a liberal European type government, we again need to "Join, or Die". 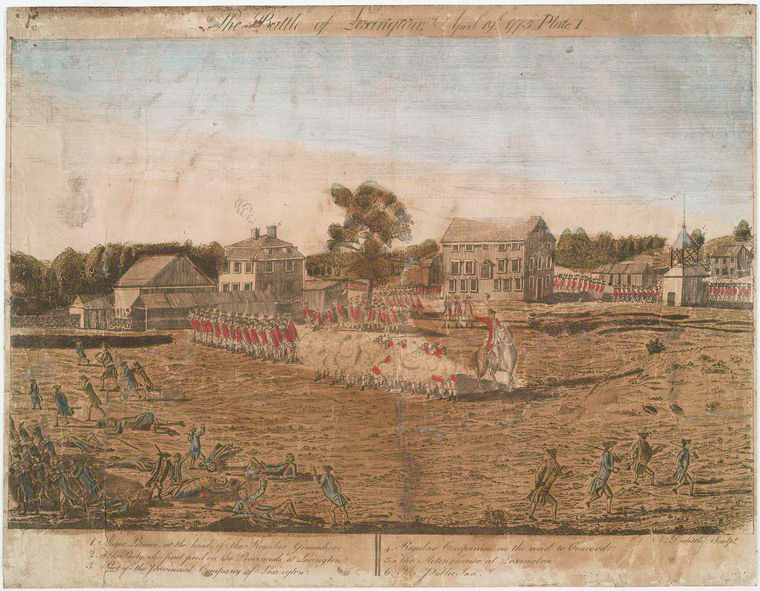 At the disastrous Battle of Lexington and Concord, our fore fathers learned they could not stand up to the large, disciplined British Army. 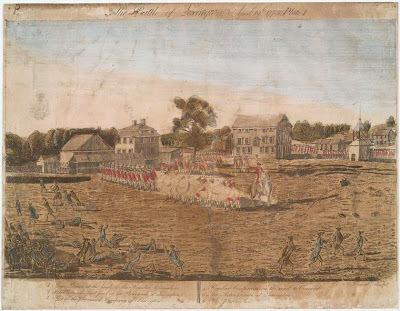 Regrouping, however, and fighting individually from cover, they forced the bigger and better army to retreat, keeping them under constant sniper fire until they reached the safety of the big naval guns at Charles-town. Consider this blog to be a sniper to restore American freedom. Instead of the old colonial musket, we'll use the more efficient polling booth. Politically, today, those who want the America that our people have fought and bled for down through the years face a large and well trained enemy from within, with unlimited funds, in a strong position. We can win if we join together to take the fight to the enemy with wisdom and courage. IN ANY MOMENT OF DECISION THE BEST THING YOU CAN DO IS THE RIGHT THING. ﻿T.K. Rowling opined that "It is our choices that show what we truly are, far more than our abilities". Although we also face an outside enemy that killed thousands of our citizens in a cowardly manner and tries to frighten us with a public beheading of an innocent, bound American reporter, President Obama has a "hissy fit" over the decision by another president to water board three captured terrorists which led to the capture of Osama Ben Laden and avoided other attacks against our people. The three terriorists are still alive and well. YET, OBAMA HAS, AND WILL CONTINUE, TO TAKE BOWS FOR THE END RESULT. Mr. Rowling is right, this action shows what Obama truly is! President Obama is totally void of Moral Bravery. If he truly believed in making the Catholic Church, and all Americans, pay for abortion and birth control, then he should not have changed his position. On this action, a Catholic Cardinal said that President Obama "was a liar and not to be trusted". 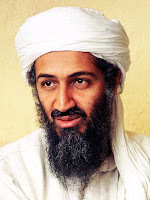 SHOULD HE BE REELECTED, BE ASSURED PRESIDENT OBAMA WILL AGAIN PURSUE HIS ORIGINAL DECISION. He has no Moral Courage! He will kiss a stranger on the street for a vote. Like Ben Franklin, I call to your attention the need to "Join or Die"
who have fought, bled and died in America's wars. WE WILL NOT EXCHANGE OUR BIRTH RIGHT FOR A MESS OF PORRIDGE. OBAMA'S STATE OF THE UNIONFigures don't lie but liars figure.